Berlin-based company cargo.one (www.cargo.one) successfully raises seed financing: Less than a year after its inception, the company, founded by experienced entrepreneurs Moritz Claussen, Oliver T. Neumann and Mike Rötgers, raised more than three million dollars in a round led by Creandum and Point Nine Capital with the participation of Lufthansa Cargo. The round allows the company to further develop its technology for the digital distribution and booking of air freight and to optimally meet the high demand of more airlines and forwarders. "The investment in our technology is a game-changing signal to our customers that cargo.one is a strong partner to jointly drive the digitalization of air freight. With Creandum and Point Nine, two internationally prominent investors are believing in our innovative distribution technology. With Lufthansa Cargo, one of our first customers, we are also proving that even a prime industry player is convinced of the pertinence to build an industry-wide transactional platform. This is an ideal combination,"
says Moritz Claussen, co-founder of cargo.one. "The market for air freight booking has huge potential for optimised and faster processes. We believe that any industry can be fundamentally changed by the right entrepreneurs, and cargo.one, with its state-of-the-art technology and an experienced and knowledgeable founding team, promises to become the leading technology provider in this market. We're proud to back cargo.one,"
says Simon Schmincke, Partner at Creandum. "In less than a year, the cargo.one founding team has managed to gather an impressive number of partners for their booking platform. Over the past years, we’ve backed multiple companies building industry-wide booking platforms and several logistic companies. We are convinced that in cargo.one, we’ve found the right team to fundamentally change the air freight market, which is ready for change. Booking air freight will be faster and more transparent,"
says Pawel Chudzinski, Managing Partner of Point Nine Capital. "cargo.one is another important step in the digitalization of our industry. We are delighted to be one of the first airlines to recognise the potential of this multi-airline platform for our customers and to have made ourselves compatible. We are excited about the technology and the easy-to-use product. By working with start-ups and making financial investments such as in cargo.one, we are also driving the digitalization of our industry,"
said Peter Gerber, CEO of Lufthansa Cargo. Point Nine Capital is a Berlin-based venture capital firm focused on early-stage internet investments. Since its founding in 2011, Point Nine has invested in SaaS startups such as Algolia, Automile, Contentful, and Typeform, as well as online marketplaces like Brainly, DocPlanner, Ontruck and StarOfService. Before starting Point Nine, the firm’s founding partners, Pawel Chudzinski and Christoph Janz, were among the earliest backers of companies like Delivery Hero, Westwing and Zendesk. For more information, take a look at Point Nine’s website and Medium channel. With a transport volume of around 1.6 million tons of freight and mail and 8.9 billion ton-kilometres sold in 2017, Lufthansa Cargo is one of the world's leading companies in the transport of air freight. The company currently employs over 4,500 people worldwide. Lufthansa Cargo focuses on the airport to airport business. The route network comprises around 300 destinations in over 100 countries, using both cargo aircraft and the freight capacities of the passenger aircraft of Lufthansa, Austrian Airlines and Eurowings as well as trucks. Most of the cargo business is handled via Frankfurt Airport. Lufthansa Cargo is a wholly-owned subsidiary of Deutsche Lufthansa AG. Das Berliner Unternehmen cargo.one (www.cargo.one)schließt erfolgreiche Seed-Finanzierung ab: Weniger als ein Jahr nach derGründung bekommt das von den erfahrenen Gründern Moritz Claussen, Oliver T.Neumann und Mike Rötgers gegründete Unternehmen in einer von Creandum und PointNine Capital angeführten Runde, unter Beteiligung von Lufthansa Cargo, mehr als drei Millionen Dollar. Dies ermöglicht es cargo.one, seine Technologie zur digitalen Distribution und Buchung von Luftfracht erfolgreich weiterzuentwickeln und die hohe Nachfrage weiterer Airlines und Spediteure optimal zu bedienen. freut sich Moritz Claussen, Gründer von cargo.one. so Simon Schmincke, Partner bei Creandum. so Pawel Chudzinski, Managing Partner von Point Nine Capital. so Peter Gerber, Vorstandsvorsitzender der Lufthansa Cargo. Point Nine Capital ist eine in Berlin ansässige Risikokapitalgesellschaft, die sich auf Internet-Investitionen im Frühstadium konzentriert. Seit der Gründung im Jahr 2011 hat Point Nine in SaaS-Startups wie Algolia, Automile, Contentful und Typeform sowie Online-Marktplätze wie Brainly, DocPlanner, Ontruck, und StarOfService investiert. Vor der Gründung von Point Nine gehörten die Gründungspartner Pawel Chudzinski und Christoph Janz zu den ersten Gründern von Unternehmen wie Delivery Hero, Westwing und Zendesk. Weitere Informationen finden Sie auf der Website von Point Nine und im Medium Channel. 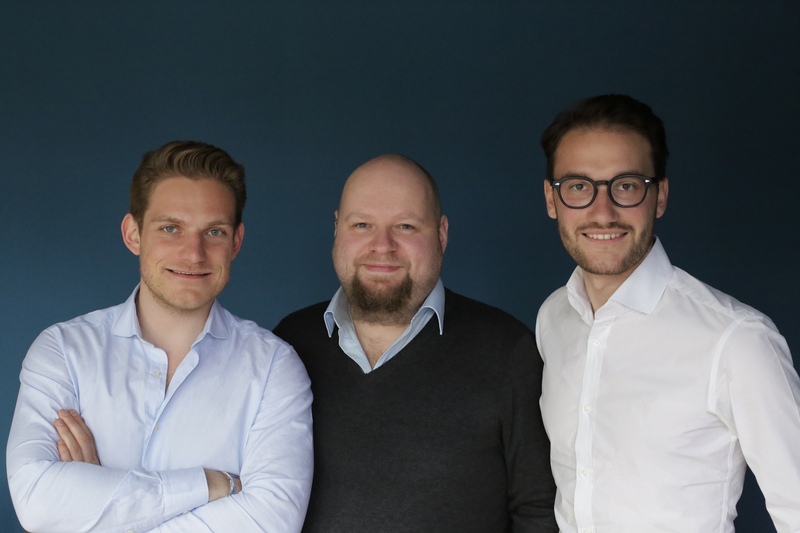 Cargo One GmbH (cargo.one) was founded in Berlin in August 2017 by the entrepreneurs Moritz Claussen, Oliver Neumann and Mike Rötgers. The company is developing a SaaS platform for booking and marketing air freight. cargo.one focuses on offering and booking dynamic spot rates, making it the first platform of its kind. IATA air freight forwarders can search, compare and book these spot rates on the cargo.one platform in real time and receive immediate booking confirmation. Partner airlines gain access to a cost-effective, data-driven and fully digital distribution channel. cargo.one's product changes long and a synchronous booking processes by telephone or e-mail, enabling substantial savings on both sides. The cargo.one team combines international experience in building digital business models with relevant expertise in the modernization of B2B processes. Together, the team successfully built up the Berlin-based FinTech company OptioPay GmbH and was able to convince many well-known companies with their digital expertise. Whether you are a freight forwarder or an airline, cargo.one saves your company both time and money. Get started for free now or get in touch.